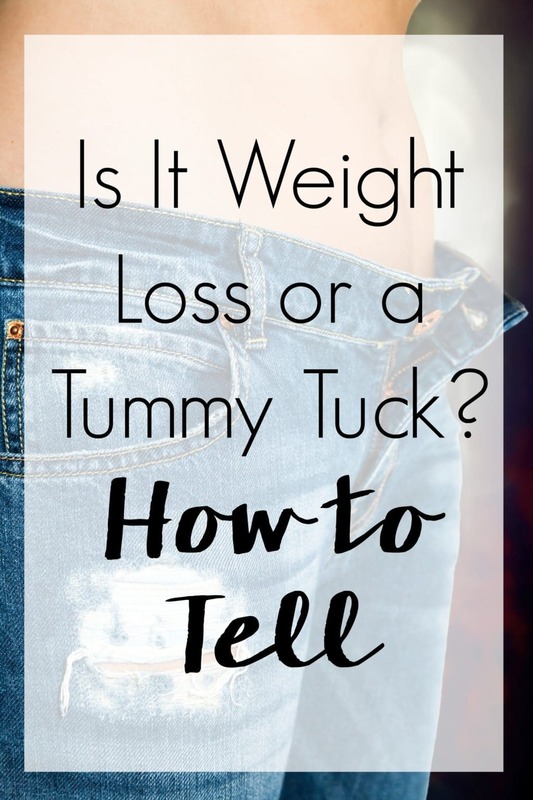 Home » Beauty & Style » Pins Can Be Deceiving: Is It Weight Loss or Tummy Tuck? This informative weight loss or tummy tuck post was sponsored on behalf of The Piazza Center. You’ve seen them. Pin after pin that claims drastic weight loss via fancy tea, weight loss supplements, and diet fads — complete with those transformative before-and-after weight photos. The reason the photos look so unbelievable? Here’s a hint: It’s not the tea. In many cases, people use before-and-after photos of tummy tuck patients in an effort to drive traffic to their weight loss website. So, how can you tell what’s real and what’s just a ploy to sell products? Is it weight loss or tummy tuck surgery? Those who have lost a significant amount of weight often are left with loose and sagging skin. Even with the most diligent regimen of healthy diet and intense exercise, skin that has stretched to accommodate a heavier figure simply will not retract after significant weight loss. Skin laxity is correlated with age, genetics, and other factors, too: We lose collagen and elastin as we age, so it becomes even harder for the skin to bounce back naturally as we get older. According to Dr. Rocco Piazza, a board-certified plastic surgeon with years of experience performing tummy tucks here in Austin, because of skin laxity, having tight skin over the abdominal region after major weight loss through nonsurgical methods is not likely. In other words: If the person has magically lost excess skin in the “after” photo, you can bet there was some surgical intervention involved. Tummy tucks aren’t “weight loss,” either. Having said that, tummy tuck surgery is not a weight loss method itself. Weight loss is kind of a prerequisite, though: Surgeons encourage their patients to be close to their ideal weight before undergoing the procedure. Beyond removing excess fat and skin, a tummy tuck can also improve the appearance of the abdomen by tightening the muscles of the abdominal wall. This slimmed-down and toned appearance goes hand-in-hand a healthy and active lifestyle. In other words, there are no shortcuts. Next time you’re scrolling through before-and-after photos that claim certain supplements tighten the skin on the abdominal region, don’t buy it. Now you can see whether or not it was weight loss or tummy tuck surgery. Surgery is still really the only way to get rid of that extra skin.